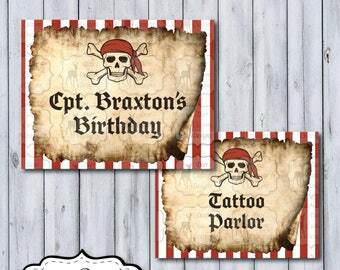 These swashbuckling birthday party hats are perfect for your little pirate's birthday! 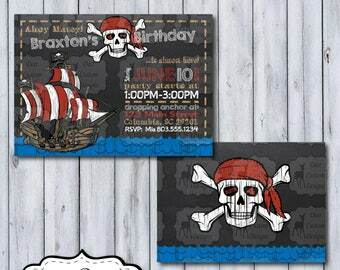 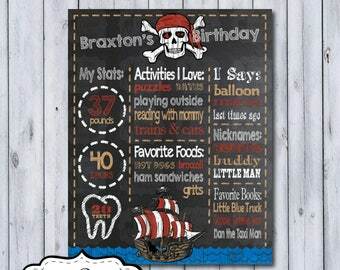 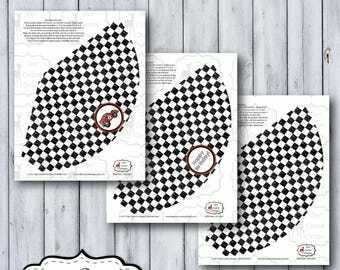 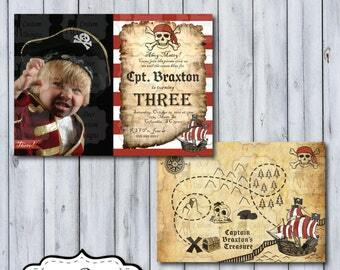 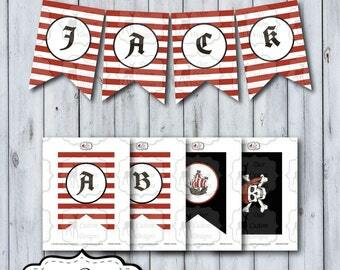 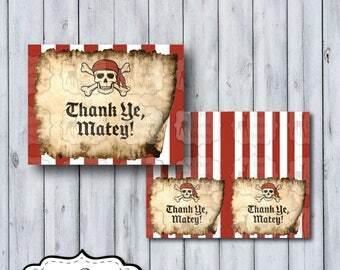 This listing is for an INSTANT DOWNLOAD of pdf files that include 5 pdf files of printable birthday party hats in five designs (Black/Jolly Roger, Black Chevron/Happy Birthday, Black Chevron/Pirate Ship, Red Stripe/Happy Birthday, Red Stripe/Pirate Ship). 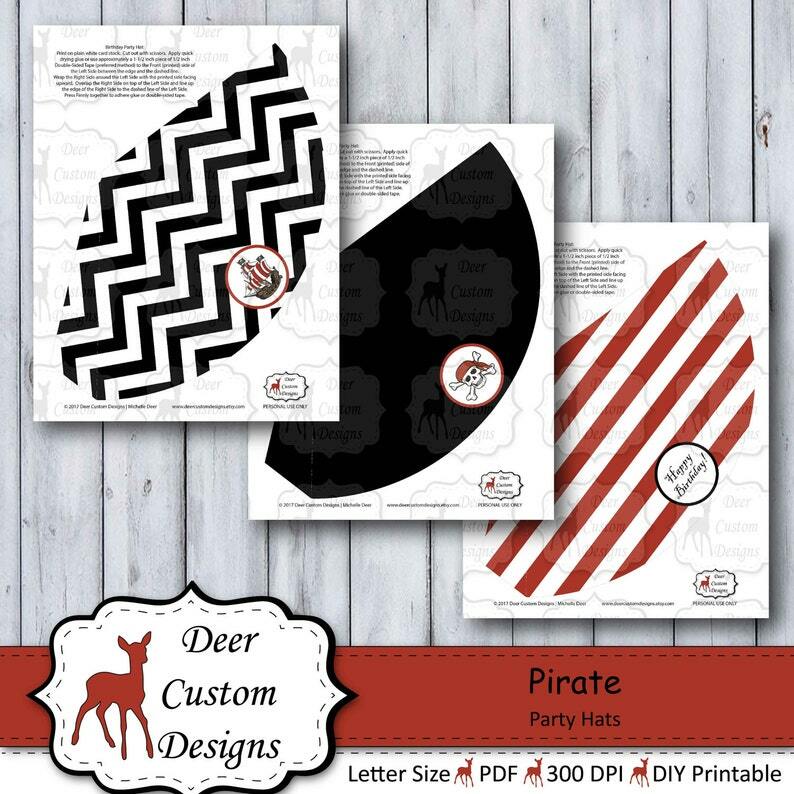 Party hats can be printed on regular 8.5 x 11 heavy white card stock. 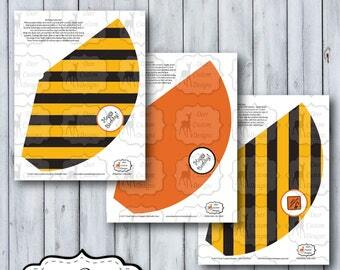 Hats are made to fit little heads but can be doubled for adult size. 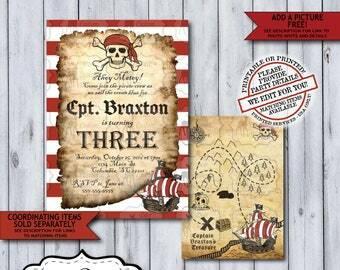 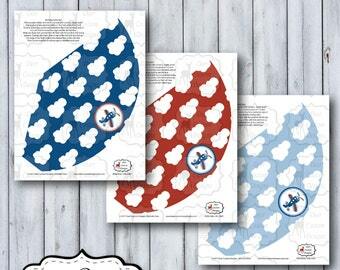 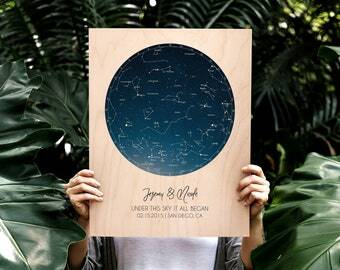 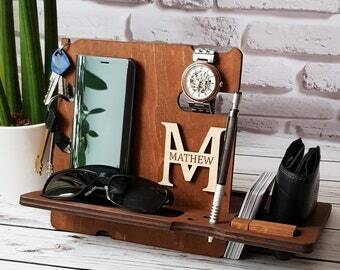 Included are instrructions for how to assemble, but all you need to do is print, trim & glue/staple! 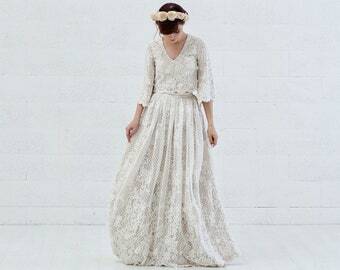 2: Once your payment clears, you will automatically be emailed a link via Etsy to download your digital files. 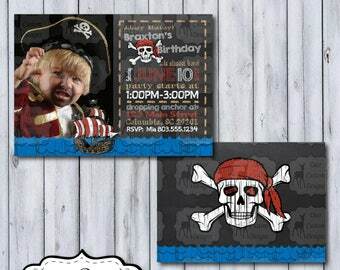 Thanks for stopping by Deer Custom Designs!